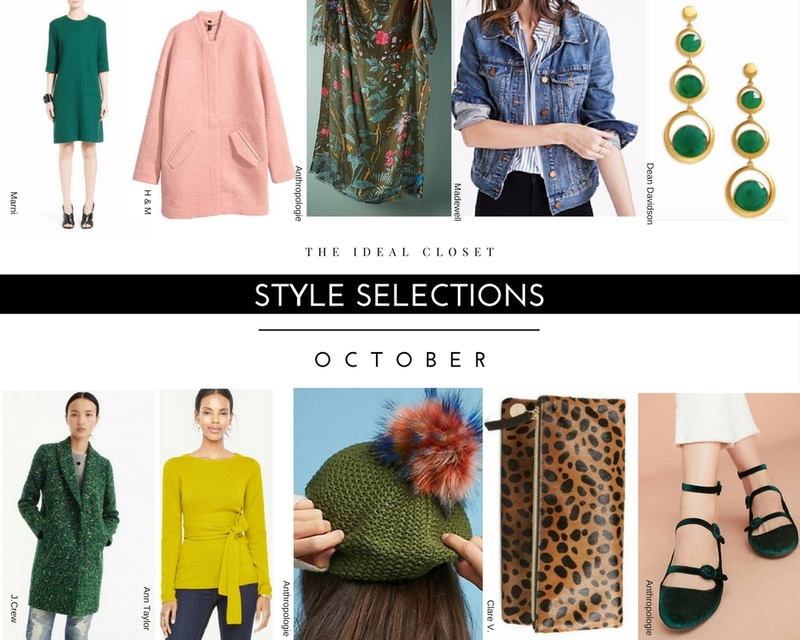 What colors come to mind when you think about the Fall season? For me, I think about brilliant reds, rich oranges, and golden yellows. Colors used to describe the crisp autumn temperatures, leaves changing colors, and the pumpkin harvest. Yet GREEN, at least for me, is not one of them. I usually equate the color with Spring and all its rebirth and regrowth. However, this Fall designers showcased all shades of green, from emerald to chartreuse, in their collections and runway shows. Green was also creatively combined with other colors in unexpected ways. For example, Etro paired olive, turquoise, pink, and rust in one its iconic paisley patterned dresses. Crazy, right? !....CRAZY GOOD!